Whether you are looking to improve your headshots to use for marketing your brand, or you are a photographer/artist looking to improve the quality of your portraits- this tutorial covers removing blemishes, adjusting colors/shades of your makeup or clothing, and sprucing up dull backgrounds. 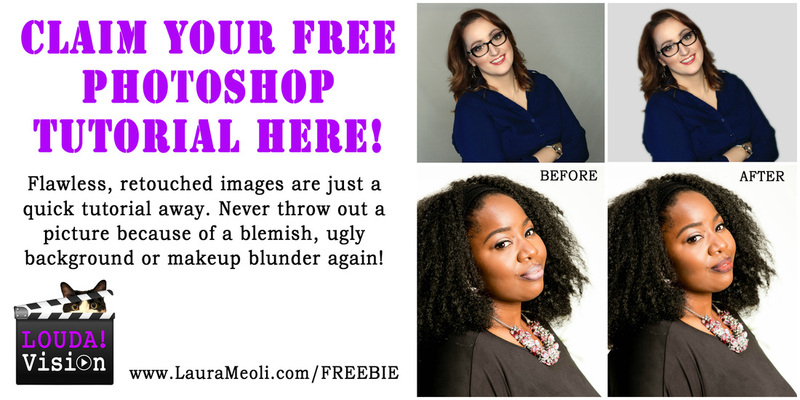 The days of throwing out portraits because of a blemish or ugly background are over! I want this FREE gift! For more creative tips and inspiration, you can listen to the LoudaVision Podcast or find out more about me HERE.